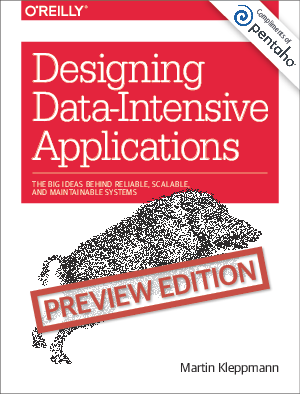 This eBook from O’Reilly Media will help you navigate the diverse and fast-changing landscape of technologies for processing and storing data (NoSQL, big data, MapReduce, etc). It looks at examples of successful data systems and discusses their key algorithms, basic principles, and the trade-offs they have to make in order to meet scalability, performance, and reliability requirements every day. It is especially relevant if you need to make decisions about the architecture of the systems you work on. Sponsored by Pentaho.